Experience relief from aches and pains with the knowledgeable and intuitive touch of therapeutic massage. Amy blends techniques to address, identify and appropriate a treatment plan: easing pain with expert technique. As well as producing a profound state of relaxation, her treatments help to promote faster healing time after injury or surgery, calm the nervous system, and reduce stress; a major contributor to illness. Using this cultivated blend of techniques, Amy’s approach helps to alleviate the frequency and severity of headaches, diminish the effects of repetitive stress, and aid in a more restorative sleep. Massage stimulates circulation as it dispels excess lymphatic fluid and flushes out metabolic waste, allowing for a more efficient exchange of oxygen and vital nutrients. The result: decreased pain and dysfunction and increased range of motion and flexibility. I consider this method a precision tune, as these techniques have effectively helped me to address the thoracic, pelvic, and lumbar muscles, and conditions such as TMJ dysfunction, headaches, military neck, as well as enhance respiratory function. (NMT) uses precision trigger point therapy, active and passive stretching to address specific muscle fibers, bringing balance between the nervous and musculoskeletal systems. NMT enhances the function of joint, muscle, and movement, releases endorphins (the body’s own natural pain inhibitors) and aids in relief of chronic and acute pain due to injury and repetitive stress. I am currently trained in NMT I-spinal muscles, and IV-cranium and core muscles of the abdomen. Pressure and release points uses direct static pressure on specific points of pain and tension to aid in the release of muscle over-contraction and blocked circulation. 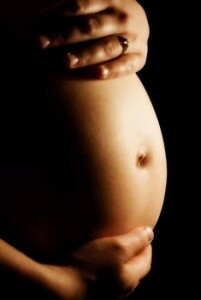 For new and soon to be moms, we provide nurturing touch while focusing on the positional comfort . Amy will take special care to focus on those areas that need extra consideration; from the changes that a new mother’s body experiences to the aches that come from holding your precious little one, all while creating a restorative and calming environment to immerse you in comfort. Massage may be especially helpful during a time when the use of medication may be contraindicated, as it helps reduce stress and relieve muscle and joint pain. Amy uses contoured pillows to assist with positional comfort, making mama feel as if she is floating. Massage, may be recommended in trimesters 2 & 3 and may help ease delivery, as it is also known for its ability to prepare the expectant mother by calming her body and mind into relaxation, and relieving tension prior to labor. Deep Tissue works well on areas of chronic pain, congestion and tension. We will apply precise pressure, damming up capillaries allowing fresh blood to rush back in; clearing away stagnant waste and replenishing tissue with rich oxygen and nutrients. DT helps with relieving chronic patterns of tension/pain and aids in injury rehabilitation. Due to the deep nature of this therapy, open communication during the session is crucial to make sure that you don’t become uncomfortable. Keep in mind that post-treatment soreness is common, and that you should drink a few more glasses of water then you normally would to offset any delayed muscle soreness, and to aid in the flushing and removal of metabolic wastes released during your session.Clients experience improved posture, pain relief, intense relaxation, and structural changes to chronic soft-tissue damage. Sports massage is recommended to all athletes in training, before, during or after events. Pre-event massage wakes and invigorates the muscles, improving performance and flexibility while reducing the chance of injury. Post-event massage re-establishes the integrity of the muscle, flushes out metabolic waste and minimizes recovery rate. Connective tissue deeply warms muscle and joint tissue by creating friction through repetitive strokes. This gentle treatment is ideal for the elderly and those with common joint restrictions. (PNF) is an active technique which uses feedback and movement throughout a series of stretches, contractions, and breathing to achieve improved joint function, decreased pain, and greater mobility and range of motion. This gentle massage mimics and stimulates the movement of the lymphatic fluid by using flushing techniques, encouraging this very low-pressure system to circulate. The lymphatic system is involved in eliminating inflammation and toxins, enhancing immune function, and reducing pain. It benefits individuals with edema and those who have had lymph nodes and /or pathways removed. Many massage styles that I use are built upon this baseline relaxation method. Esalens gentle flowing approach encourages deep relaxation, relieves pain, promotes a more restorative sleep, and aids in digestion and healing. The muscle release technique utilizes passive stretching and deep tissue therapy to break up adh esions and elongate muscle. For this treatment to be effective we must work to the very edge of the client’s pain tolerance, but not beyond, so continued communication and trust between client and therapist is vital. I have had great results in relieving pain and dysfunction caused by Plantar Fasciitis and tendonitis using the Muscle Release Technique. After an exfoliating scrub and moisturizing hand massage, immerse each hand in warmed paraffin. Your hand treatment is then cocooned in plastic and mittens, allowing the heat to penetrate deeply, relieving the discomfort of dry, achy and arthritic hands. This nurturing treatment involves stones warmed to your comfort level and may be used as massage tools or temporarily left in place. Amy blends the use of stones with other massage techniques; they work exceptionally well over larger ‘guarded’ musculature, soothing and overriding resistance as they melt away tension. Revive tired feet with an exfoliating therapeutic foot scrub, followed by a steamed towel wrap and luxurious massage designed to bring soothing relief.